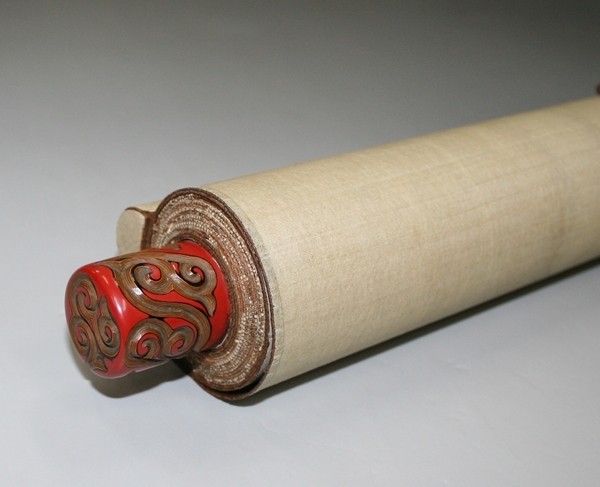 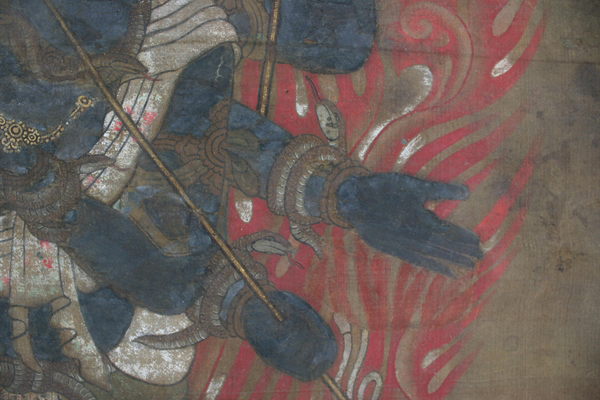 Japanese hanging scroll, Muromachi period, circa 16th century. 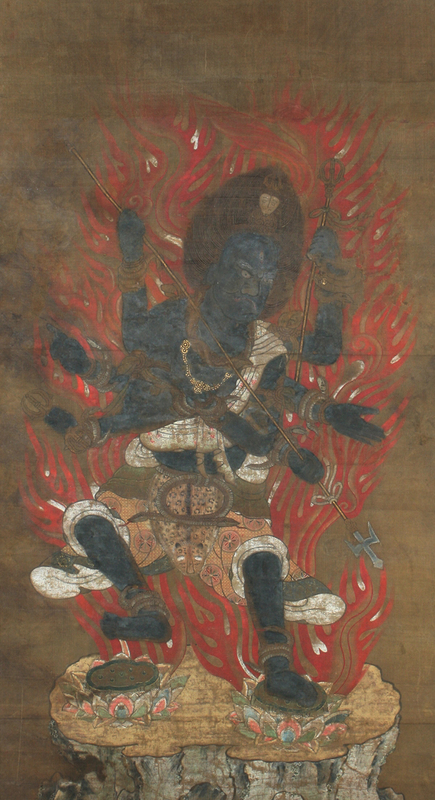 This large antique Buddhist painting features Gundari Myōō (Skt. 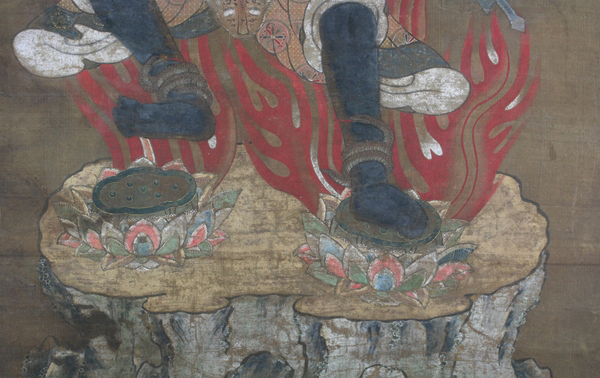 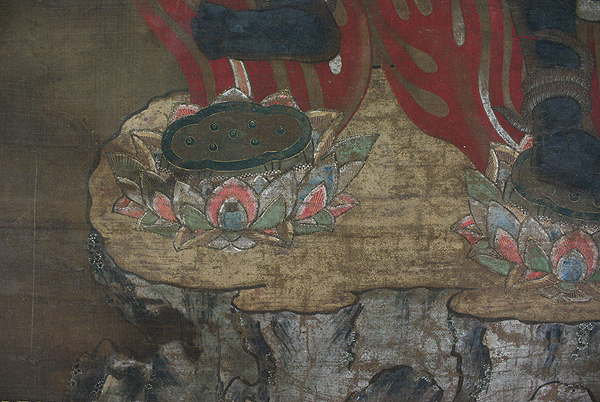 Kundali), one of the five major Wisdom Kings in Buddhism, steps on white lotus pedestals on a high rock, suggesting the 'Great Womb Mandala', the central image of Japanese Esoteric Buddhism. 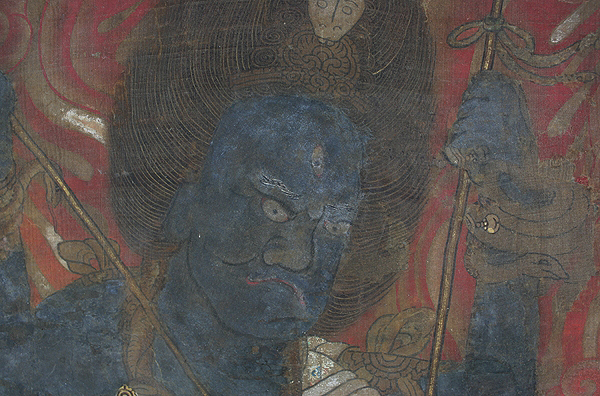 Gundari is a wrathful emanation of Hosho nyorai (Skt. 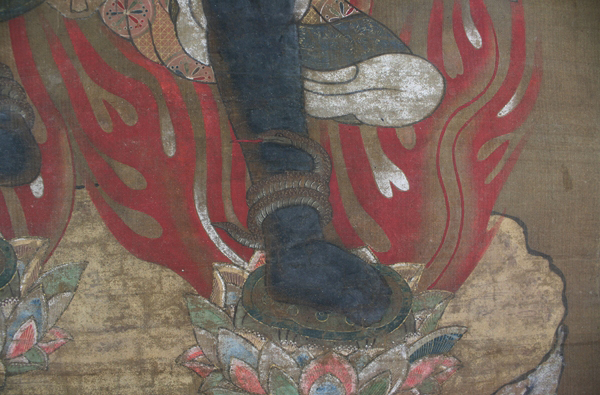 = Ratnasambhava), who is also one of the five great Buddha, and expresses the identity of earthly passions and spiritual enlightenment. 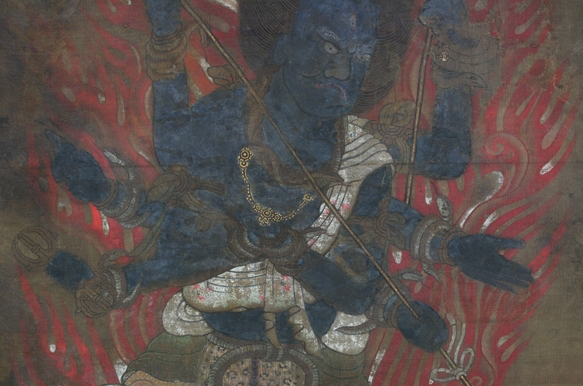 In this painting the Gundari exceptionally wears a loincloth decorated with tiger skin, which often oni(demon) wears, and carries trinkets of snakes. 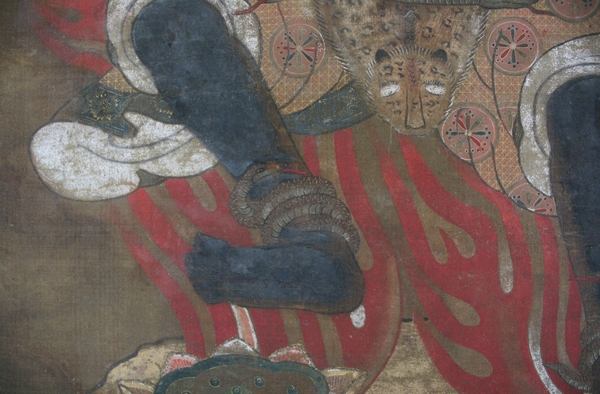 Snakes are used to be worn by Indian aristocratic and subsequently introduced into Buddhism as accessory of Buddhist statues. 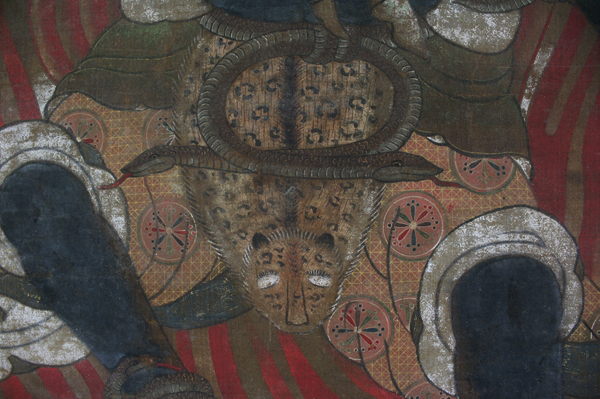 As snakes have been believed to have a sexual power, Gundari, who depicted with snakes, has also been believed to have such sacred power and worshipped as removal of obstacles. 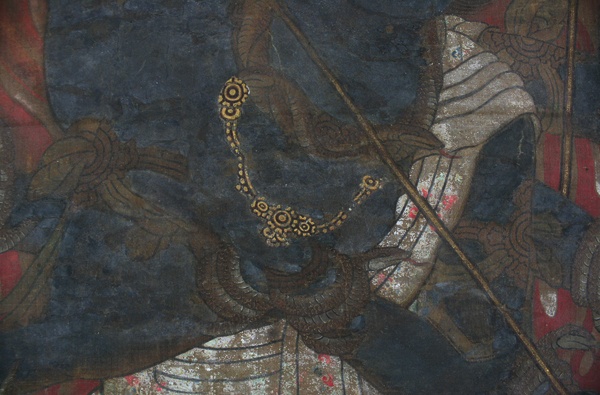 Painted on paper with ink and pigments. 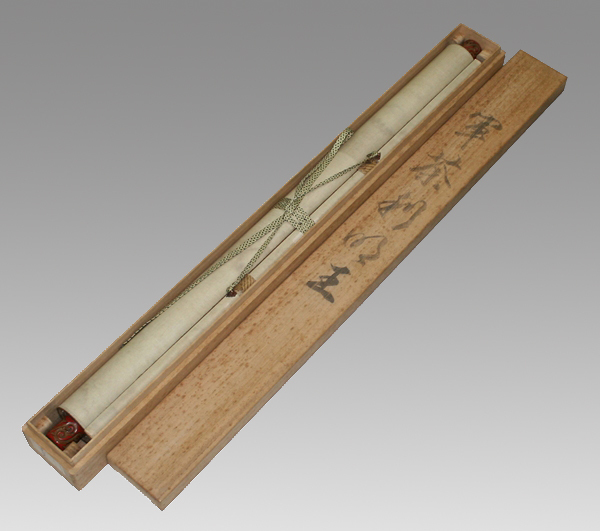 It comes in a double paulownia wood storage boxes. 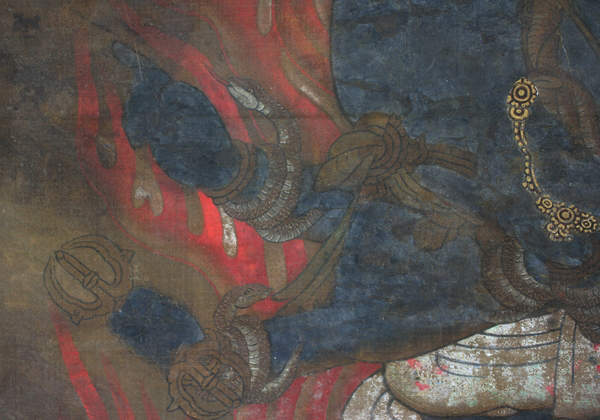 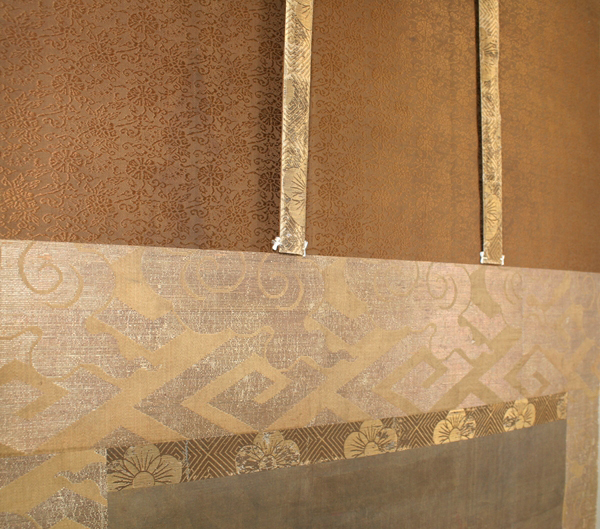 The painting is in good condition with patina, old marks and stains due to its age.